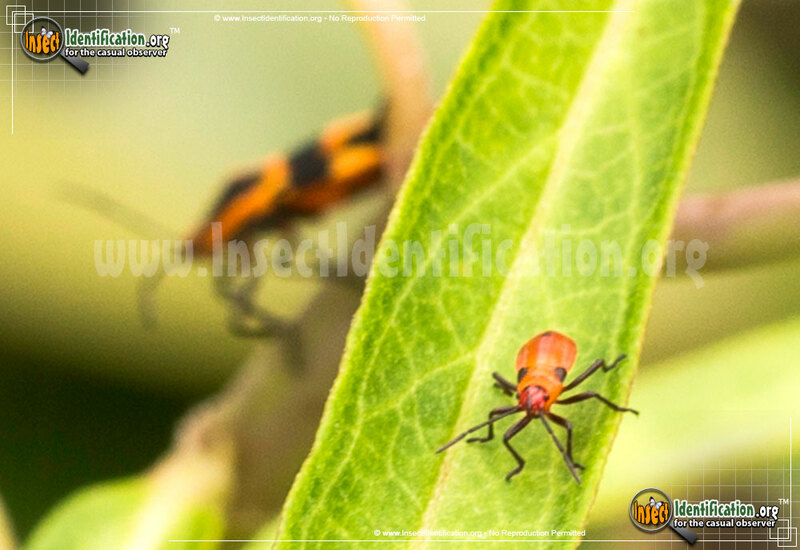 Detailing the physical features, habits, territorial reach and other identifying qualities of the Milkweed Bug. The pretty harmless Milkweed Bug can be found in great numbers and at every stage of life in the eastern U.S. states. 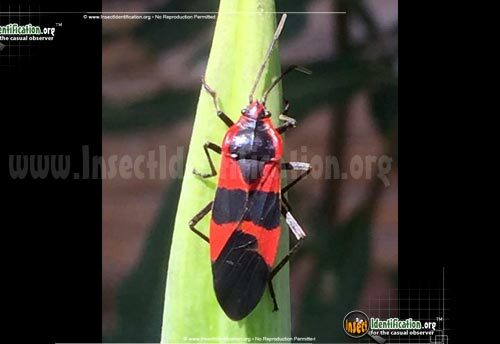 Adult Milkweed Bugs do not appear to damage flowers, vegetable gardens, or field crops, but because they are usually found in huge groups, most people react with alarm when finding them. 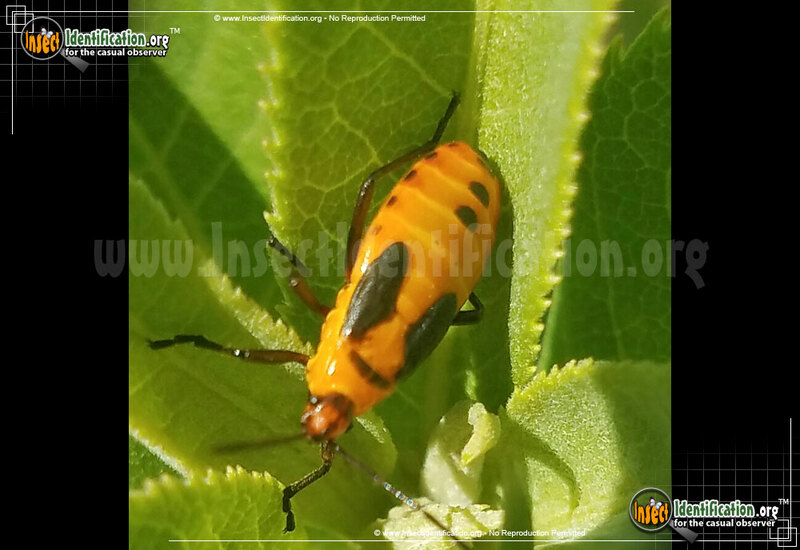 This insect feeds on nectar, especially from the milkweed plant. They do not linger all season long, so many people let them be. Milkweed Bugs may be seen in huge numbers, even on warm winter days. 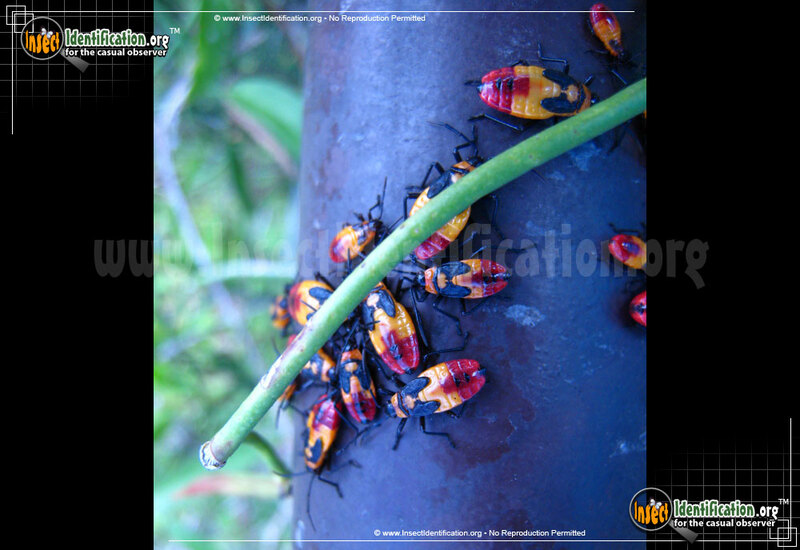 Adults overwinter, waiting for spring, and may be fooled by a suddenly warm day and venture out. This species lays bright red eggs that hatch in the spring. 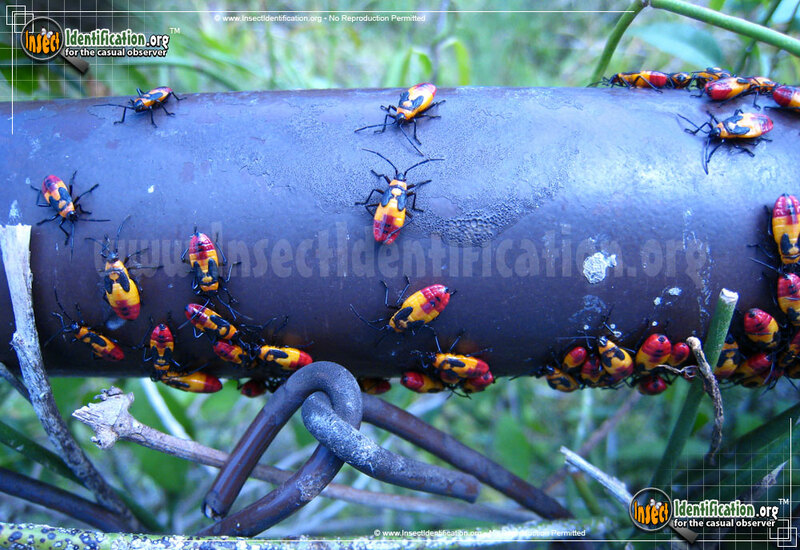 Rounded nymphs start out a bright red with black antennae. 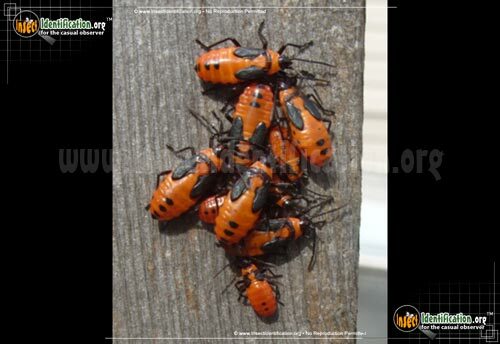 As the nymphs mature, they begin to gain black spots, short black wing coverings, and begin turning orange. 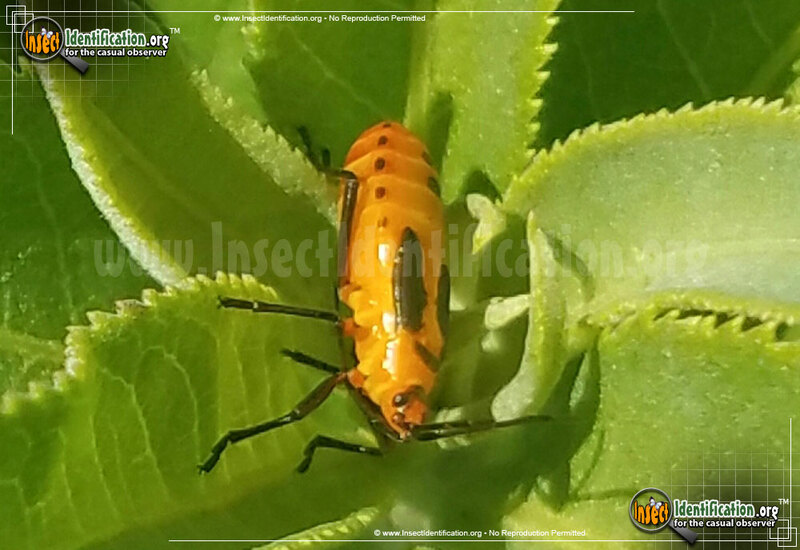 After more molting, the slender, mature adult form is black and orange. A black diamond shaped mark on the thorax is surrounded by an orange border. A wide black band crosses the center of the eltyra. The lower tips of the wings are also black. This insect can fly from plant to plant. 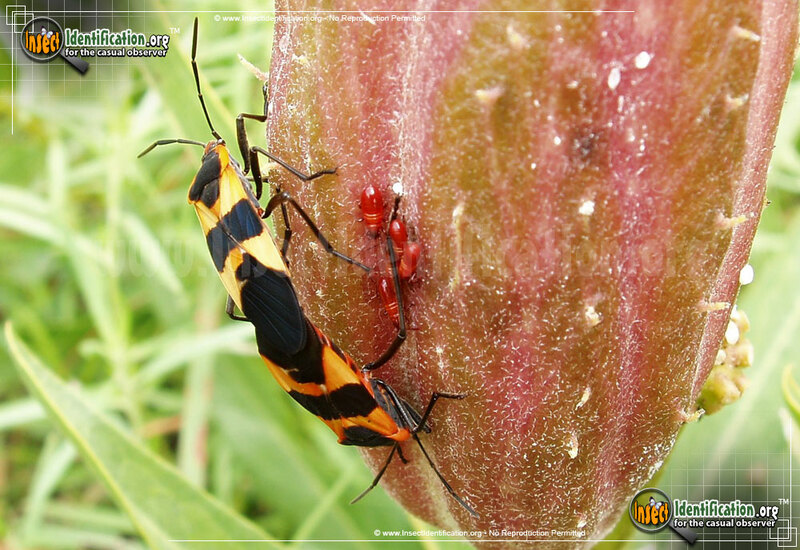 It is common to see eggs, young nymphs, and mature adults all sharing the same plant. A toxic chemical in the milkweed plant is stored inside the insect as well. 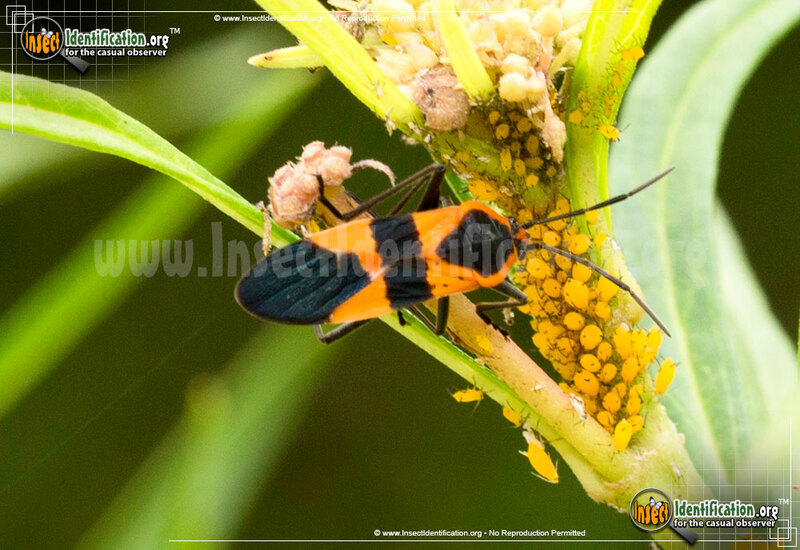 This renders it distasteful to predators, offering the Milkweed Bug some protection.